Acer Liquid Gallant Solo features 4.3-inch qHD LCD display with 960 x 540pixel resolutions and is powered by 1GHz single-core MediaTek MT6575 processor with 1GB RAM. 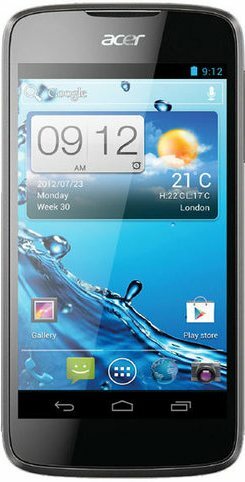 The Liquid Gallant Solo runs on Android 4.0 Ice Cream Sandwich OS and comes with 4GB of storage which can be expandable up to 32GB Via. microSD card. The Gallant Solo sports 5MP rear camera with LED flash and has a standard 1500mAh battery. It weighs 145gms. Connectivity options of Liquid Gallant Solo includes Wi-Fi 802.11b/g/n WLAN, Wi-Fi Direct support, Bluetooth 3.0 with EDR and A2DP support. 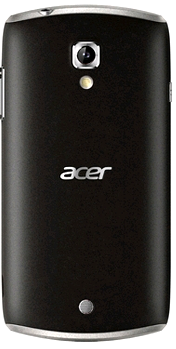 Acer Liquid Gallant Solo comes with a price tag of around 200 British pounds and will be availabile in UK soon. Tags:Acer Liquid Gallant Solo, Acer Liquid Gallant Solo features, Acer Liquid Gallant Solo specifications, Acer Liquid Gallant Solo review, Acer Liquid Gallant Solo details, Acer Liquid Gallant Solo availability, Acer Liquid Gallant Solo specs, Acer Liquid Gallant Solo images, Acer Liquid Gallant Solo pics, Acer Liquid Gallant Solo pictures, Acer Liquid Gallant Solo price.